Soccer is considered the world's most popular sport for children and adults around the world. Similarly, it is one of the most popular sports for Special Olympics athletes. Athletes are able to improve their overall physical fitness through training and competition. 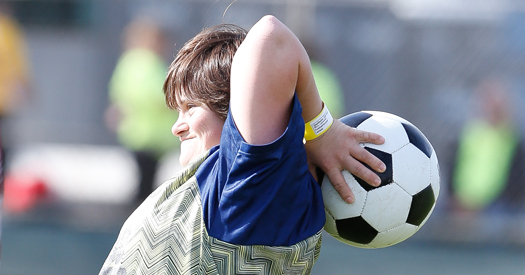 In addition to offering traditional soccer, Special Olympics Soccer offers individual skills competition to allow athletes to train and compete in basic soccer skills. The development of these key skills is necessary prior to advancing to team competition.